I know I’m obsessed with Apple products but the iPhone is seriously cool. So far I’m loving having email where ever I am and the facebook app is cool too. I’ve just installed the new wordpress app, and I’m blogging to you from my iPhone. The picture is taken with it as well. 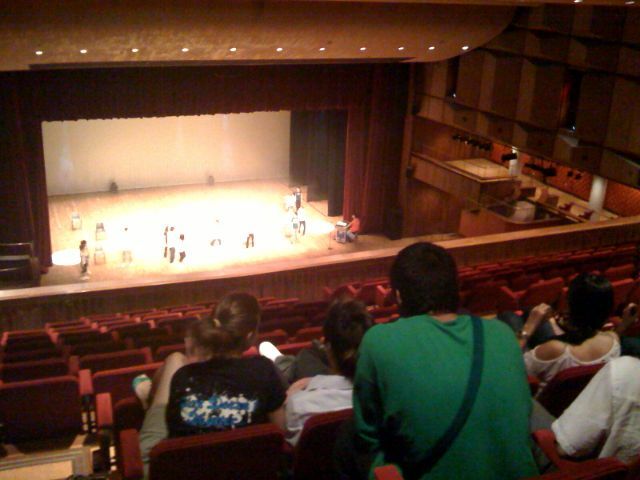 It’s us gate crashing a dance reversal at Sha Tin town hall. Very random! were you blogging while we were watching that dance rehearsal?! you antisocial loser! :P no really. much love. haha, I was going to say just the picture was from my iphone, but I just realised that I did write and blog this from my iphone, haha.